There are several official Amazon Voice Service (AVS) development kits, and we’ve already covered a few of them with the likes of Allwinner 3-Mic Far Field AVS Development Kit or Intel Speech Enabling Developer Kit, but you can also design your own board conformant to Amazon’s Alexa Voice Service functional design guide. That’s exactly what Gumstix has done with Chatterbox carrier board for Toradex Colibri i.MX7 system-on-module powered by NXP i.MX7 Arm Cortex A7 processor. Designed in Geppeto, the board includes a 2.5-Watt speaker driver, an on-board microphone, and Line IN and headphone jacks, as well as WiFi, Bluetooth and Ethernet for connectivity. 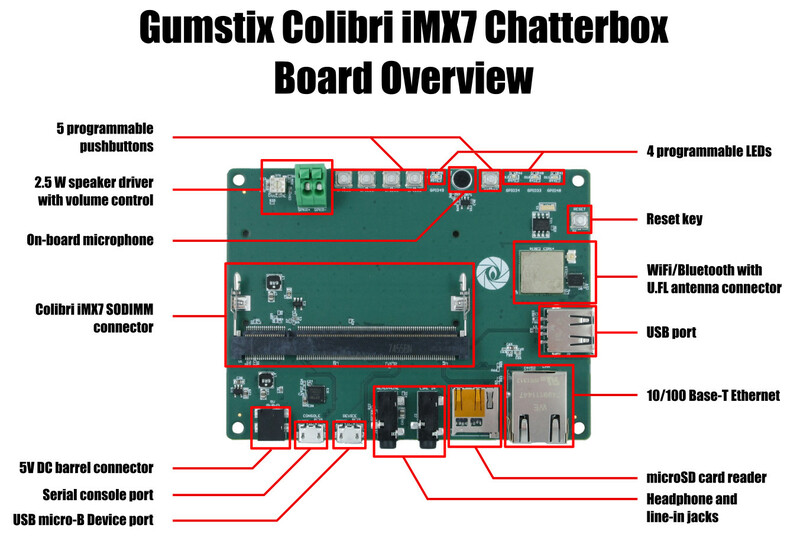 Gumstix ChatterBox can be purchased for $140 as it is (Colibri Som sold separately), but you could also customize it online with Geppetto adding or remove your own features. 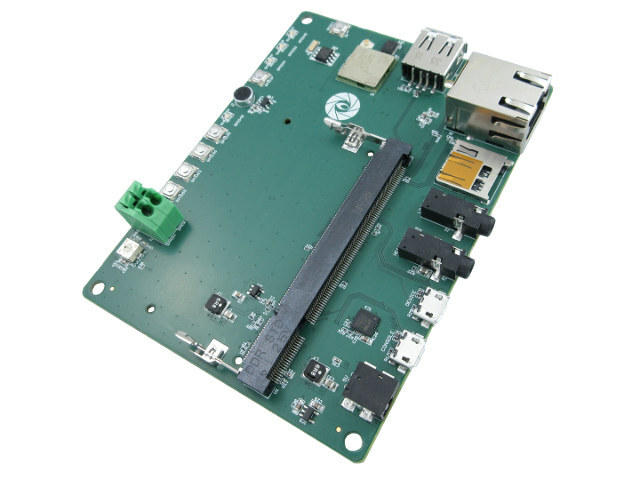 The board was also made to promote/demonstrate of use of the new Toradex Colibri iMX7 SO-DIMM connector inside Geppetto that enable people to easily design and order a carrier board for the Toradex module.